Although the wisdom of getting drunk people to wave their iPhones around on today’s mean streets is questionable, if you drink responsibly, as this Stella Artois-backed app urges you to, this could be a handy tool. 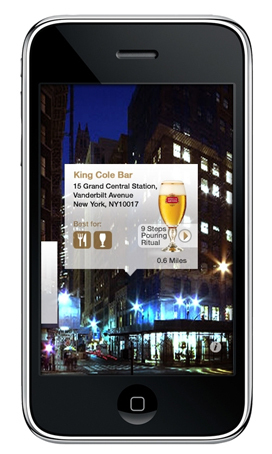 As with similar location-based AR apps, Le Bar (that’s French for bar, by the way) Guide will assist you in finding the nearest watering hole, give you ratings and then even point you to a taxi within stumbling distance. It’s accurate to 20 feet, which is a coincidence, as that’s about our level of accuracy after three pints of the French stuff. Another corporate-backed app, this time by Plantronics, is WorkSnug, an iPhone app that finds digital nomads a place to lay their weary laptop. It identifies Wi-Fi hotspots and potential workplaces – from coffee shops to professional rent-a-desk office spaces – with user reviews encompassing power provision, atmosphere, noise levels and even the quality of the coffee. Although currently only available for London, versions for San Francisco, New York, Berlin, Madrid are due soon. This star map app will spell out the stars, planets and constellations for you. 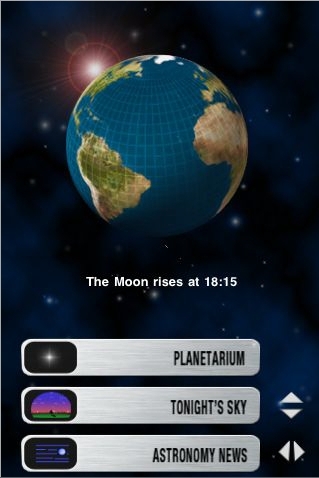 Needing no connectivity, this clever app contains data on 10,000 stars, 88 constellations and lunar phases, while the “tonight’s sky” feature shows meteor showers and visible planets based on your location. 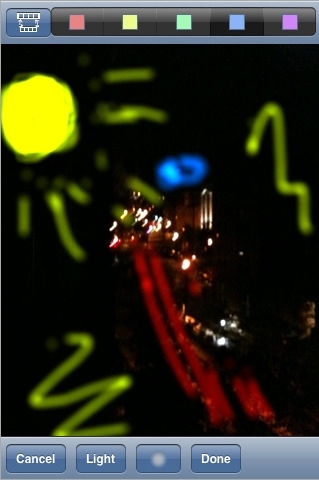 Just hold your iPhone skywards on a bright night and before you can say “Hubble telescope” you’ll be looking at Uranus. Finally an iPhone app your dad can get excited about. 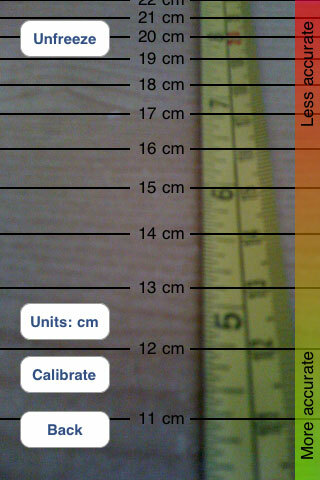 Augmented reality measuring arrives with AugMeasure which lets you gauge short distances using on your iPhone’s camera. 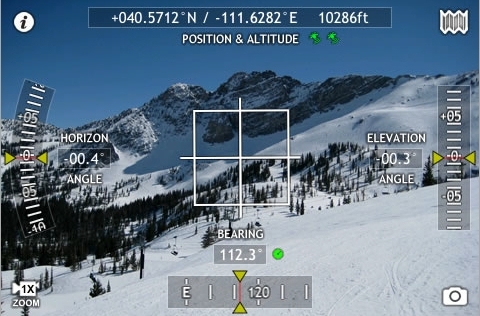 AugMeasure displays distances (up to 30 centimeters or 12 inches) on the screen overlaid onto the live image which will change as you move the phone. While the results might not be precise enough for that intricate woodworking project you’ve got going on in the basement, for those quick, “No, it’s definitely longer than 6 inches” moments, it’s a must. If the militant grammar nerd within knows that the sign for “Buddys Bar” needs an apostrophe, then Virtual Graffiti can help. Snap an image, add your witticism, embellishment or “tag”, then, once uploaded, your artistic addition to the world can be browsed on a location basis thanks to the Google Maps integration. All the fun of tagging, none of the embarrassment of getting caught with a spray can in your hot little old-enough-to-know-better hand. If you’re the type that likes to know what axis is bisecting your Northerly inclination and at what altitude, then chances are you already have an actual theodolite. If you don’t and that sentence gave you chills (in a good way) then you’re 99 cents away from topographical heaven. 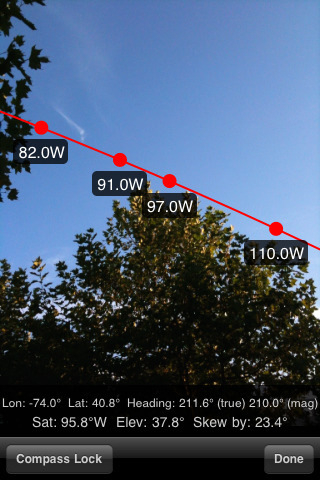 As well as offering all that a theolodite might, but in a decidedly more portable package, this app overlays such data over your camera’s image and even lets you snap the odd screenshot for posterity. We’re sure you have no use for this one yourself, but if you know anyone who might have difficulty finding their way back to the car in those huge parking lots, then the Car Finder app is a good suggestion. 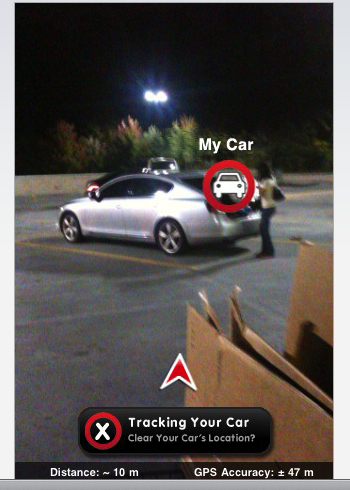 Once the car’s location is set, the app creates a visible marker showing the car, its distance away and the direction in which to head. There are other non-AR apps which offer this kind of tool, but we think seeing it on a real-life display will make locating that pesky Pontiac a piece of cake. 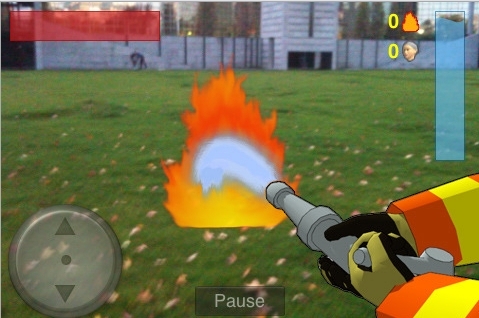 Catering to both pyromaniacs and Backdraft fantasists, Firefighter 360 will set your immediate location on fire, requiring you, as heroic fireperson, to get out the hose, douse some flames and save some passers-by. As far as iPhone gaming goes, it’s arguably not a high point. The sound effects are crude and the graphics cartoonish. But it’s an interesting application of AR that makes us excited about the next wave of AR games. Did we mention you get to play a fireperson? 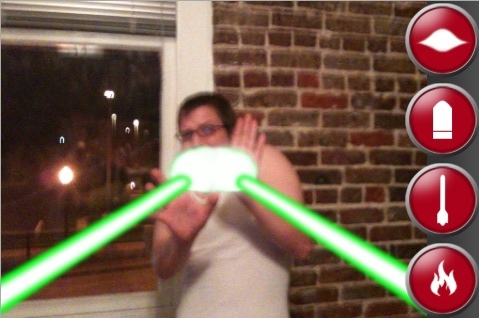 Want to shoot people in the face with a laser? Yep, there’s an app for that. iPew could easily also be named iPuerile, as it really is that dumb. But, sometimes it’s the simple things in life (kicking leaves, vanilla ice cream, swapping around the keys on a colleague’s keyboard when they’re on vacation) that offer the most pleasure – at least on a short term basis. iPew offers you a choice of weapons and provides gratifying noises as you get someone in your virtual sights and blast them away. Recommended for board meetings, long commutes and those cozy nights in with the in-laws.